Nefesh B’Nefesh announced Sunday the launch of its “Initiative for Zionist Innovation” (IZI) in cooperation with the Jewish National Fund and Avram and Sharon Blumenthal. The initiative strives to support Olim (immigrants to Israel) committed to impacting social change or pursue business innovation in the spirit of Zionism. Successful candidates may be eligible for a financial grant to assist in actualizing their projects as well as marketing support and use of Nefesh B’Nefesh’s spaces throughout the country. Zionist activists and innovators have changed the face of Jewish history over the last 120 years. Nefesh B’Nefesh is seeking the next generation of leaders and innovators looking to change the face of Zionism and Israel. Through this new initiative, Nefesh B’Nefesh hopes to encourage Olim with a passion for contributing to the Zionist story to pursue their creative ideas in both business and social innovation, thereby impacting and bettering Israel and Israeli society as a whole. 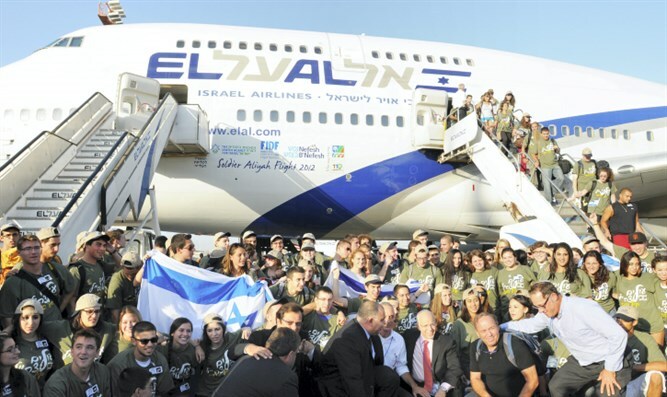 To be eligible for the Initiative for Zionist Innovation, candidates must have made or are making Aliyah through Nefesh B’Nefesh with a confirmed Aliyah date on or before November 30, 2017. Candidates will be asked to submit a basic business plan, their professional resume, and a mission statement for their initiative. The selected candidates will be asked to “pay it forward,” by providing opportunities and mentoring sessions to other Nefesh B’Nefesh Olim. Candidates will be chosen by a committee of distinguished business and social innovators from within the Oleh community in Israel. Applications are now being accepted until October 25, 2017. Successful candidates will be announced by December 3, 2017.